First off I’d like to say Thank You for all the prayer, words of encouragement and well wishes in response to my last post. Between these things and quilting, the funk is slowly but surely dissipating. Back in this post I listed everything I wanted/needed to complete by Christmas. All I have left are the small quilted gifts for family, friends and coworkers. I’m about a third of the way through and I am confident I can finish all by/before Christmas. I’ve got another 4-day weekend coming up this week! I could have already been finished w/the small gifts if I hadn’t allowed myself to be sidetracked w/other projects, but I think you all know how that goes. I wrote about two of the sidetrack projects in this post. I like to think of them as rewards. Back in August a friend asked if I could do something w/two flimsies (approx twin size) her grandmother had started before she passed. I quilted them while I was Visiting Greta in October. I finished them last week. They are both backed w/a jungle print fabric and I chose 2 coordinating calico prints for the binding. I even got started on a couple of my 2015 projects! The 1st is a pattern test that I can’t show pics of yet, but I’ve already COMPLETED the 48″ x 60″ flimsy! I will be posting pics of the completed quilt sometime in January…so stay tuned. The 2nd is a quilt for my grandson who is due on February 18th. All of the colors and fabrics come from Greta’s stash. Thankfully, while I was Visiting Greta, not only did she pick out/suggest most of the fabrics, she also cut out all the triangles w/her amazing Go! Baby Accuquilt Fabric Cutter! I’m so very grateful for Greta. My daughter loves all of the colors and fabrics! The triangles are up on the design wall. I’ve halved the end triangles and plan to start sewing it together today. Of course I’ll be alternating this project w/the small quilted gifts I still need to finish. Oooooo I love that triangle quilt – it's goign to be gorgeous!!! Zenia – you are incredible! I don't know how you manage to be so creative and productive. 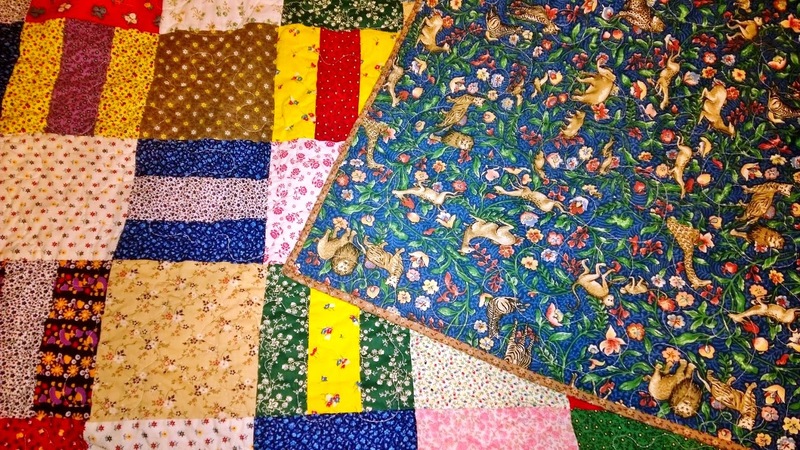 Love that you did up your friend's grandmother's quilts! We can already see that your new grandson's quilt is going to be awesome! It will be very fun to see how you feel when that blessed event comes! So glad that you feel the funk going away now. Maybe you were just tired out. Loving the triangle quilt!! It's going to be gorgeous! Beautifully done! I look forward to seeing your grandson's finished quilt. 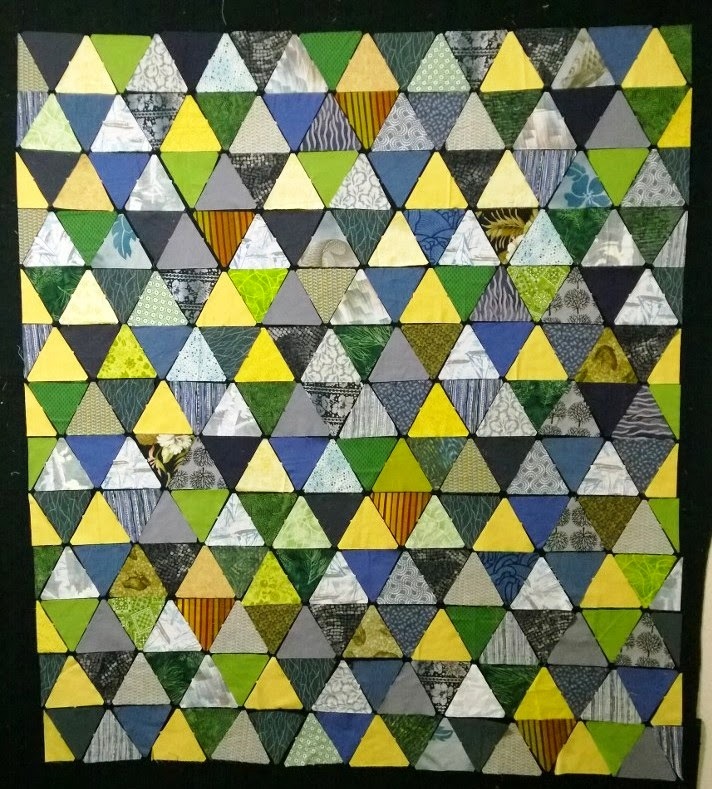 Love the triangle quilt–it will be so beautiful. And since she did all the cutting for you, it will feel like it came together in no time. Glad to hear you are doing better, Zenia! The two finished twin quilts are adorable. Your choices for backing and binding were spot on! PS. I have a fondness for triangle quilts. Yours is going to be fantastic! That triangle quilt is going to be so fabulous! Love the colors together. 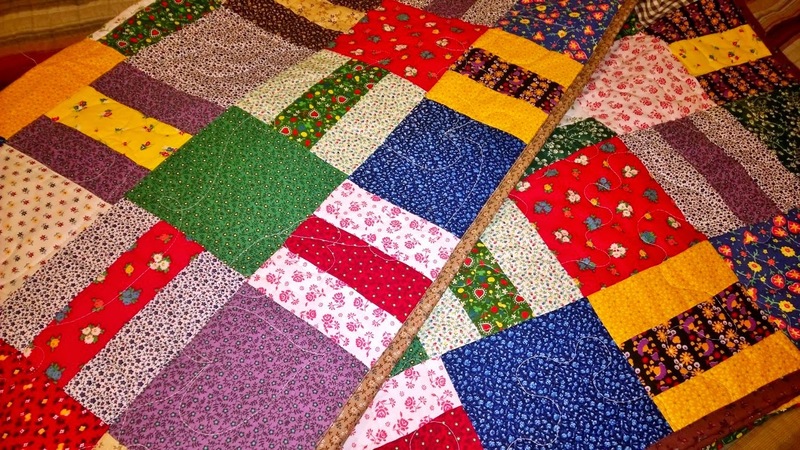 Sweet of you to finish ten quilts. You are so busy with your yob and all those projects. They are all beauties. Do not know where you find time to do that all!!! I really do not know what 'funk'is, but I am glad you are feeling better. Happy Xmas andNew Year with a lot of fun quilting. I can't wait to see that triangle quilt finished!! So nice of you to finish her grandmother's quilts!